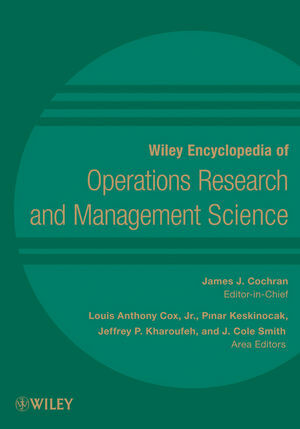 The Wiley Encyclopedia of Operations Research and Management Science is the first multi-volume encyclopedia devoted to advancing the areas of operations research and management science. The Encyclopedia is available online and in print. Designed to be a mainstay for students and professionals alike, the Encyclopedia features four types of articles at varying levels written by diverse, international contributors. • Introductory articles provide a broad and moderately technical treatment of core topics. • Advanced articles review key areas of research in a citation-rich format similar to that of leading review journals. 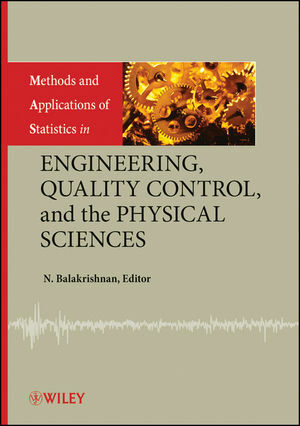 • Technical articles provide more detailed discussions of key concepts addressed in related articles. • Case Studies/Historical Interludes present successful and/or interesting examples of operations research and management science methodology in practical or historical contexts. • Includes over 600 articles with contributions from over 1,000 authors from 45 countries. James J. Cochran, PhD, is Ruston Building and Loan Endowed Research Professor of Quantitative Analysis and Computational Modeling and Senior Scientist/Analytic Group Director in the Center for Secure Cyberspace at Louisiana Tech University. Louis A. Cox, PhD, is President of Cox Associates, a Denver-based applied research company specializing in applied health risk analysis, statistical and probabilistic risk assessment and data mining, and operations research modeling. He is also Honorary Full Professor of Mathematics at the University of Colorado at Denver. Pinar Keskinocak, PhD, is Associate Professor in the School of Industrial and Systems Engineering and the co-director and co-founder of the Center for Humanitarian Logistics at Georgia Institute of Technology. Jeffrey P. Kharoufeh, PhD,is?Associate Professor of Industrial Engineering at the University of Pittsburgh. J. Cole Smith, PhD, is Associate Professor of Industrial and Systems Engineering at the University of Florida. Use of Lagrange Interpolating Polynomials in RLT. MACBETH (Measuring Attractiveness by a Categorical Based Evaluation Technique). Why variance is not risk. AXIOMATIC MEASURES OF RISK AND RISK-VALUE MODELS. ACCIDENT PRECURSORS AND WARNING SYSTEMS MANAGEMENT: A BAYESIAN APPROACH TO MATHEMATICAL MODELS.